Summer sales are the best time to get the designers pieces I have had my eye on. Launched in September 2016, the New Zealand-based Maggie Marilyn clothing has gained so many fans for it’s fashion-forward design. I love the playful details she incorporates into her clothing like ruffles, pleats and sporty stripes. 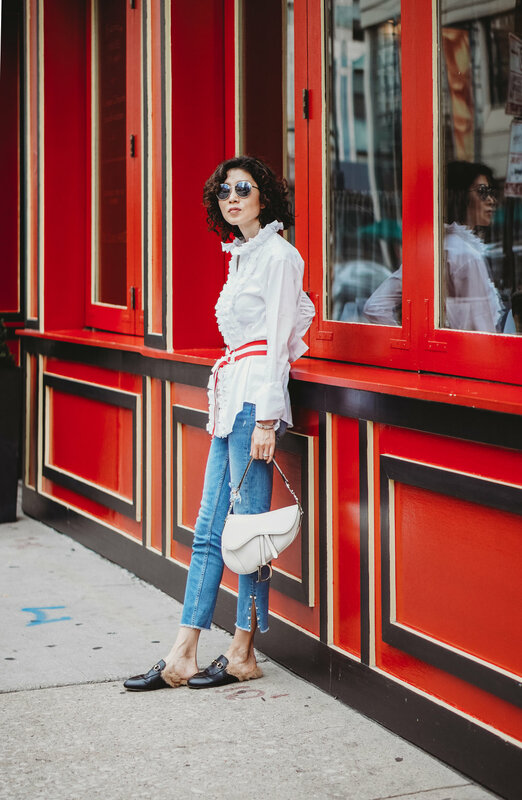 This gorgeous “ live a little ruffled shirt with belt” white blouse is such an eye-catching piece. I am so obsessed with the mixing of romance ruffles together with the unexpected sporty stripes. What an interesting contrast. This is absolutely a compliment guaranteed blouse. With 75% off, this one of a kind blouse is going for $150. What an amazing deal for a Maggie Marilyn piece. 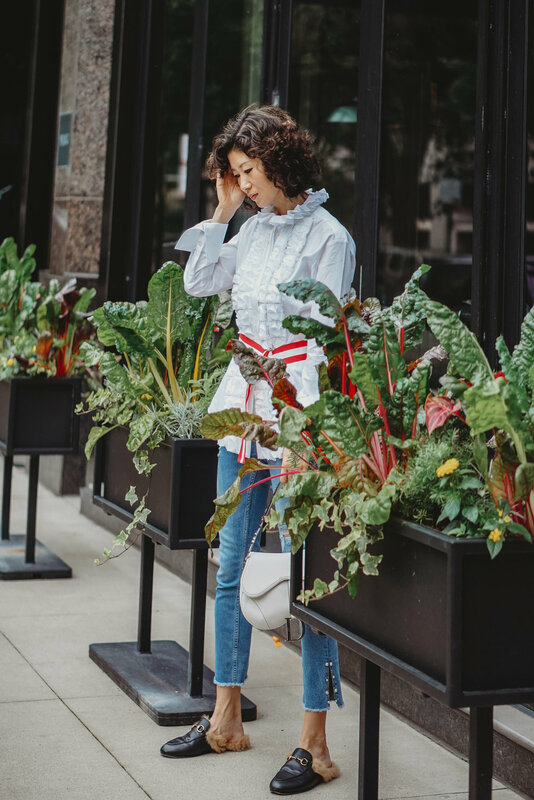 I have Scored so many on Sale designer pieces through the year and I always think "cost per wear" since these designer pieces turn to last forever in my closet. I styled the blouse with my @zara jeans and Gucci slippers. You can also pair it with a pencil skirt and heels too, or even with white shorts. Grab this gorgeous shirt before it’s gone.